DENMARK: Revenues for Dong Energy's wind business increased by 46% year on year in the first nine months of 2016, but this was not enough to stop the group's total revenue from falling. Revenue increased to DKK 18 billion (€2.4 billion) in the nine months to end of September, while Ebitda also increased by 53% to DKK 6.8 billion (€913 million). For the group as a whole, however, revenue fell from DKK 55.1 billion (€55.1 billion) over the same period of 2015 to DKK 49.7 billion (€6.7 billion) in 2016. The fall was put down to its oil and gas division. Dong announced last week it was looking to sell its oil and gas business as it wants to shift its focus almost entirely on to renewables. For Q3, Dong's wind business revenue increased 22% to DKK 5.8 billion (€779 million) on the back of higher activity in construction. 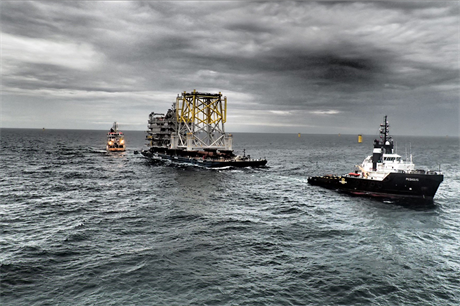 The firm is currently installing seven offshore wind projects, including the 258MW Burbo Bank Extension in the Irish Sea. It is the first commercial project to use MHI Vestas' V164 8MW turbine. "This makes us pioneers in the commissioning of the last four generations of offshore wind turbines," Dong CEO Henrik Poulsen said.